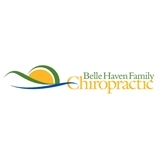 Belle Haven Family Chiropractic (Alexandria) - Book Appointment Online! Dr. Leavitt Camp has been relieving patients of pain and the effects of musculoskeletal disorders since 1997 here at our Belle Haven office. Dr. Catherine Camp and Dr. J. Briggs are dedicated chiropractors that are focused on giving you the best care possible to get you on the road to good health. We listen to what YOU want to achieve and design a treatment program specifically for you. Our patients' choices are always respected and followed. Friendly staff. I went in for upper-back problems and went to Belle Haven Family Chiropractic for 10-15 sessions. A year after my last visit and my back is still doing well.